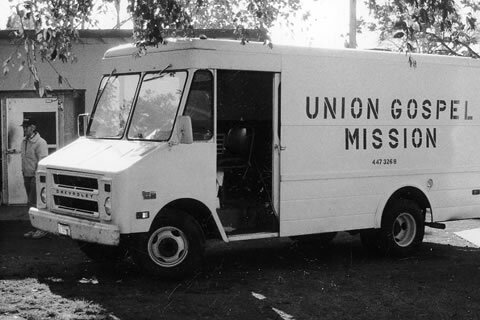 Since 1962 the Union Gospel Mission has provided food, clothing, shelter, and a life-changing Gospel message to the homeless and the poor of Sacramento. In 1962 a group of concerned Christian men came together to address a growing problem: the plight of Sacramento’s many homeless men and women. These founders wanted to feed the hungry, provide clean clothing and shelter, and give every person with a willing ear a chance to hear the word of God. To accomplish this they established the Union Gospel Mission. For 56 years now the Union Gospel Mission has supplied food, shelter, clothes, and a life-changing Gospel message to the homeless. Over the years, we have been blessed by committed volunteers, inspired leadership and the support of many in our community. The Union Gospel Mission, just blocks from the Capitol and Old Sacramento, has been restoring dignity to broken lives for 56 years by providing meals to hungry men, women and children. Along with providing a 9-month intensive in-house drug and alcohol rehabilitation program for men, the Mission distributes clothing, toiletries to more than 1,300 seniors, women and children each year. In addition to the 8,500 plus meals served at UGM every month, the Mission is active in the community supplying more than 440 food boxes to families unable to adequately feed their children as well as gave away 300 holiday food boxes with all the trimmings. With our statewide unemployment rates, more families are finding themselves in need of emergency assistance. Union Gospel Mission will serve these families this Thanksgiving and Christmas, in addition to the men and women already living on the streets of Sacramento. "Every person who knocks at our door has a story. We take the time to listen, comfort, give advice and counsel through the hope and saving knowledge of Jesus Christ. Some of these wanderers have lost their way, and are truly looking for a second chance. We believe this is the house of new beginnings, where our most desperate neighbors are able to find refuge. Over the years, we have been blessed by committed volunteers, inspired leadership and the support of many in our community. Some of their stories appear below. 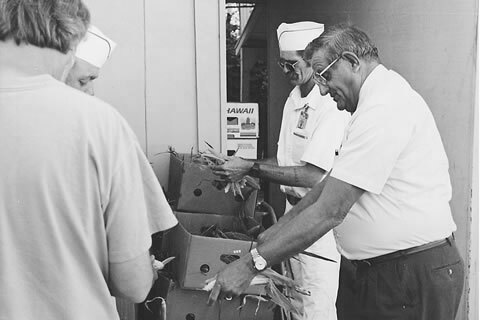 In the beginning, the Union Gospel Mission was primarily a place for the homeless to get food. Located in a small facility at 906 2nd street in downtown Sacramento, the Mission was a soup kitchen that fed the people from the streets, provided warm clothing, and presented a simply gospel message every night of the year. With only one staff member, Rev. Klausen operated the Mission with the help of volunteers from local churches. By 1965 the Mission had moved to the corner of North B and Bannon Street, occupying the old Peniel Mission building, and where it remained until 1980. Feeding the homeless was a good start, but the Rev. 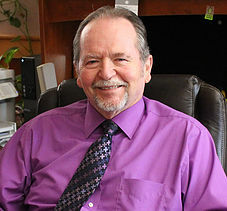 Ed Carnell believed that long-term help and rehabilitation could truly impact lives. Under his leadership, we began to evolve into more than just a soup kitchen. In 1979 and 1980, a community effort of caring volunteers helped make our current building at 400 Bannon Street possible. This building remains largely unchanged today, and is still used in the same capacity as it was in 1980. With its larger environs, the mission was able to provide overnight shelter to homeless men, and implement its first drug and alcohol rehabilitation program. The capacity to sleep over 80 men nightly, provide programs and counsel to those addicted to alcohol and drugs helped us begin to have a meaningful impact in the lives of the homeless and the community at large. By the 1970s, the Mission staff had grown to 8 people, and in 1979 a separate site called Grace Haven was established to house and minister to women. Sadly, managing 2 separate sites was beyond our limited human and financial resources, and in 1980 the mission was forced to close the women’s shelter. Instead Grace Haven was used for a variety of purposes including temporary housing for women and families in need of a place to stay for a short time. On a more positive note, by 1980 the drug and alcohol program had reached its capacity of 24 men and this much-needed ministry had become a vital part of the mission. The 1980s saw both highs and lows as the Mission struggled with funding. By the end of the decade churches were more and more involved in the life of the Mission, and a different church became responsible for the evening services every night of the month. Under the leadership of Rev. 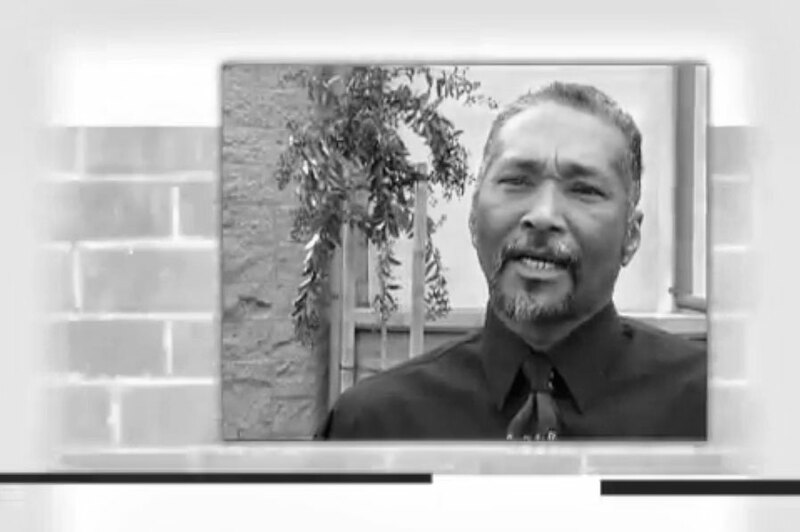 Don Kirk the Mission was revitalized with new ideas and programs during the ‘90s. The donor base grew substantially, programs reached to capacity, and the staff was increased to meet the needs of more and more men and women. In 1998, the Mission purchased the 40-acre Eagle’s Nest Ranch. This unique facility filled a void in the rehabilitation program by providing graduates a place to make the transition back into society. Don Kirk retired in 2002 as director of the Mission and became the ranch manager at Eagles Nest Ranch until his death in 2005. By 2002 the old Mission was bursting at the seams and space became our biggest problem. More and more homeless women were coming to the Mission daily and it was obvious that more needed to be done to meet their needs. Rev. Kirk oversaw a funding raising project in 2003 and 2004 to erect a new building to complement the exsisting facility. This greatly needed expansion allowed us to better serve both men and women, and has been a tremendous boon to the drug and alcohol rehabilitation program. In 2006 the mission converted a 1,000 square foot building into a desperately needed Women's Clothes Closet. Volunteers from surrounding community churches come each week to assist dozens of homeless and working poor to assist with a variety of needs. A salon adjoins the clothes closet where volunteers cut and style hair for men each week. New educational programs were installed for the men. We are thankful for all we have accomplished, yet so much remains to be done. We hope that you will be able to be a part of our ongoing mission.